A financial advisors knowledge of products, combined with their experience in approaching clients, can make all of the difference in their success. While retirees differ, based on my experience, the majority have one thing in common – a limited understanding of what should be done to ensure a successful retirement and a basic familiarity of the products available for helping them achieve their goals. This is where financial advisors can play an important role. There are so many products and services to choose from, and understanding how those solutions work can be challenging. A financial advisor’s knowledge of products, combined with their experience in approaching clients and helping them achieve their goals, can make all of the difference in building the appropriate strategy. The best advisors have structure in doing so. The biggest component of financial planning should center on helping clients identify their most important values and goals in life. One size does not fit all. To ensure clients start on the right path to realizing those answers, advisors need to ask the right questions to better understand what keeps their client awake at night, what their goals and objectives are, and what they want from retirement. Once an advisor understands the client’s goals, he or she can help offer better advice around things such as complex income taxes, asset allocation and asset location strategies, among other issues. Financial planning for retirement, in essence, is an exercise best tackled with an experienced trainer. Those who are prepared and conditioned for the journey – and have been guided by a coach – are more likely to succeed in achieving their goals. But, reaching your target retirement number isn’t the final destination. There is still comprehensive planning to be done. Many have worked hard to accumulate wealth and have made significant sacrifices throughout their lives with hopes of living a desired lifestyle. They’ve achieved the number they set out for but, unfortunately, that is often when people become vulnerable to making poor financial and investment decisions. Unanticipated financial events occur during retirement, and these events need just as much, if not more, attention as those that occur during the accumulation pre-retirement phase. When earned income stops and investment income and IRA distributions make up the majority of a retiree’s income (in addition to Social Security), any ill-timed and incorrect financial decision that depletes those accumulated assets can stop a successful retirement in its tracks. Clients need a coach who will help them on the way there and, more importantly, help them prepare for unanticipated events during retirement to ensure income is available to help them maintain a comfortable standard of living throughout retirement, while protecting wealth and ensuring that desired financial legacies remain intact and can be seamlessly transferred to their children and grandchildren. In summary, advisors need to make sure they truly listen to their clients as they relate their hopes and dreams, goals and objectives. Advisors need to put themselves in the “shoes” of their clients to see the world – financial and otherwise – as the client see it. Above all, advisors need to be honest with their clients, especially when conflicting goals or excessive spending relative to projected retirement income become apparent. 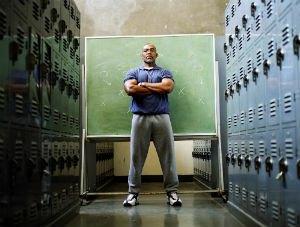 Only then does the advisor become the coach and guide the retiree truly needs.